Lucy Worsley is one of the leading English historians remarkable for her services to heritage and history. In addition, she serves as a Joint Chief Curator at Historic Royal Palaces but is well known for presenting historical programmes on BBC television series. Worsley is a phenomenal writer with about eleven books to show for her hard work and love for writing. Her brilliant performance in the advancement of history and heritage has made her a media favorite and she is considered one of the greatest contemporary historians in the United Kingdom. 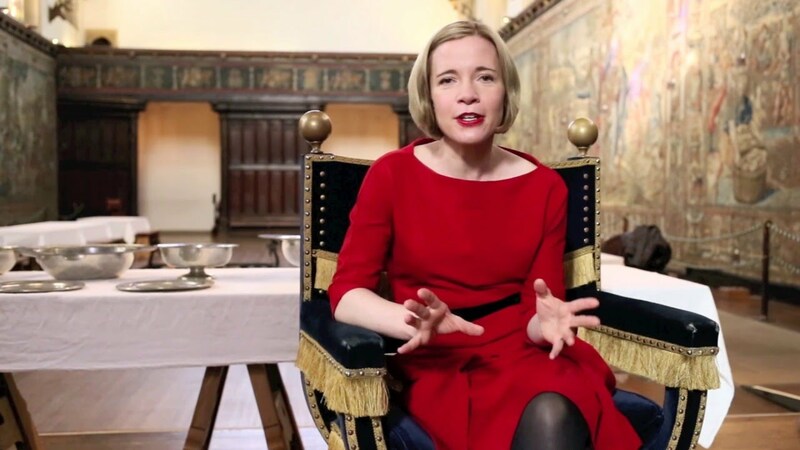 Lucy Worsley is an incredible author, historian, television presenter, and curator born in Reading, Berkshire, England, on the 18th day of December 1973. She was born to a mother who works as a consultant in educational policy and practice and a father who was a geology lecturer at Reading University. The two are also parents to Lucy’s brother called Tom Worsley (born in 1976), who is three years younger than her. While growing up, Lucy’s family moved to a lot of cold places such as Norway, Iceland, and Canada. Her parents divorced when she was in her early 20s, after which they both remarried. The historian studied Ancient and Modern History at New College, Oxford. She graduated with a BA degree in 1995, after which she earned a Ph.D. in art history from the University of Sussex in 2001. Lucy Worsley is said to have passed through the following institutions of learning before going to the university – Abbey School, Reading, West Bridgford School, Nottingham, and St Bartholomew’s School, Newbury. Worsley is not only a prominent leading female historian in the UK, but she is also an all-rounder, a total package who has excelled in multiple fields of endeavor. In addition to being a chief curator at the Historic Royal Palaces, she is a regular face on the BBC, where she features her own TV series as well. In the year 2005, she became a visiting professor at Kingston University; this was after she was elected to the position of a senior research fellow at the Institute of Historical Research. She is said to have supervised the refurbishments of the Kensington Palace state apartments and gardens, which reportedly cost 12 million pounds. As a writer, she has published many books. Lucy published her debut children’s novel titled: Eliza Rose in April 2016 and has so far released over ten books. Her most recent publication revolves around Queen Victoria’s diaries. She is the author of Jane Austen at Home: A Biography, a biography of English novelist Jane Austen published in 2017. Lucy Worsley is also a BBC presenter of historical topics such as Six Wives with Lucy Worsley (2016), Harlots, Housewives and Heroines: A 17th Century History for Girls (2012), A Very British Romance (2015), Elegance and Decadence: The Age of the Regency (2011), Lucy Worsley: Mozart’s London Odyssey (2016), and The First Georgians: The German Kings Who Made Britain (2014). When Worsley first told her science-minded dad that she wanted to become a History student at the University of Oxford, the first thing he told her was that she “would be cleaning toilets for a living”. Her father believed that scientists are the only ones capable of saving the world but Lucy’s mom was the one who encouraged her to study history. Today, after accomplishing her ambition, Lucy has risen to become an international figure because of her expertise in the historical field. The historian received the prestigious award (Order of the British Empire)during the Queen’s Birthday Honours on 16th November 2018 at Buckingham Palace for her services to Heritage and History in the United Kingdom. The English historian is happily married to Mark Hines, an architect. The couple met in 1996 while Worsley was working for the Society for the Protection of Ancient Buildings and got married in 2011. Being a very private person, not much is known about him but one thing that is known about him is that he has the same personality type as his wife. The couple currently lives in London. Although Lucy Worsley has been married for many years, she has no kids. In an interview, the BBC presenter disclosed that she and her husband decided not to have kids and that they are comfortable with the decision. At the time of writing, her salary, net worth, and body measurements are difficult to come by online. Nevertheless, we can assume that she lives a comfortable life seeing how successful she has been in her career.